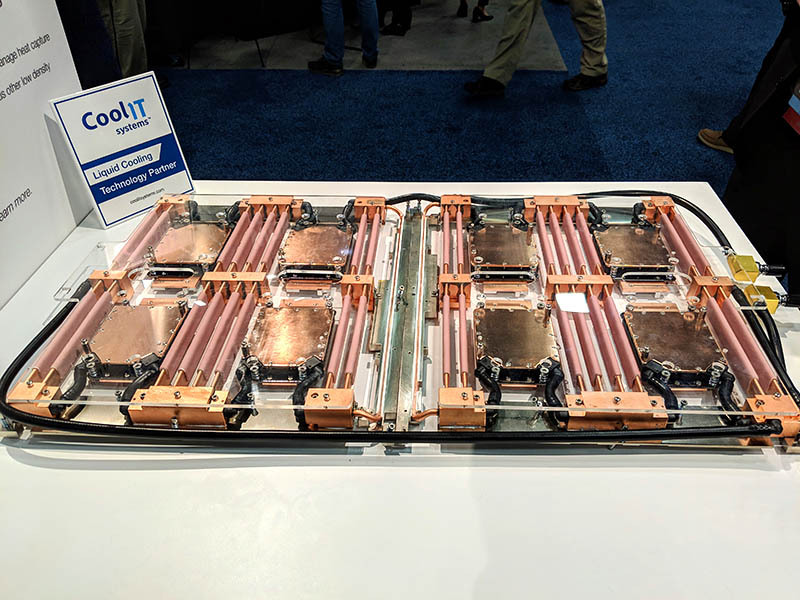 In November 2018 at SC18, we saw the Intel Cascade Lake-AP announced. 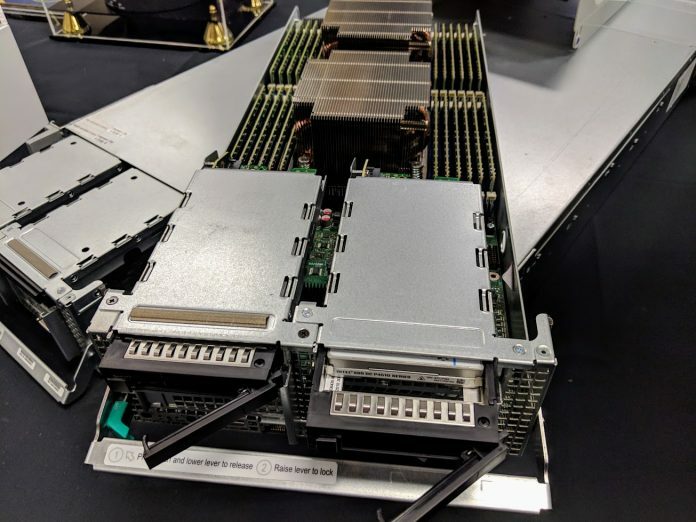 Now that the new lines have been launched, as we covered in 2nd Gen Intel Xeon Scalable Launch Details and Analysis, we are seeing various vendors announce support for the new chips. We have not seen many OEMs, outside of Intel, support the Intel Xeon Platinum 9200 series. Cray confirmed in an e-mail to STH that the Cray CS500 supercomputer line and upcoming Shasta architecture will support the Platinum 9200 series. Today Cray announced it will support Intel Xeon Scalable processors in both its CS500 and XC50 supercomputers. This gives Cray customers a powerful and flexible option in customizing their supercomputer to support demanding AI and HPC workloads in the exascale era of computing. We covered the Cray Shasta Cooling by CoolIT for Over 1024 Threads Per U in the context of AMD EPYC, now we can confirm that the higher wattage Intel Xeon Platinum 9200 SKUs will be available in this form factor. In this context, the Intel Xeon Platinum 9200 series makes a lot more sense. Here, we could see Cray using 4x dual Intel Xeon Platinum 9200 nodes per 1U. That gives 112 cores / 224 threads per node for 448 cores and 896 threads in 1U. Cray supporting the high-end Intel Xeon Scalable Platinum and Gold CPUs is not newsworthy itself. What is newsworthy is that while many large OEMs who play in the HPC space, like Dell, are not supporting the Platinum 9200 series. 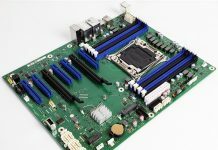 It also makes sense why we saw that Cray Shasta design and that Intel is bringing the Platinum 9200 series affixed to a half-width PCB that must be liquid cooled at the high-end. This is a clear differentiator for Cray and its customers.